For those who haven’t seen it, and are in the SF Bay Area today, the San Francisco Selenum Meetup group will be getting together tonight. I’m setting the stage with this post, and I’ll update it later this evening when the event starts so that those who can’t be there can get a taste of what’s happening. So a static blog to set up a live blog for later… yeah, that’s it :). 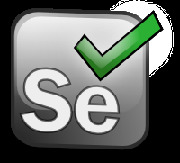 These kind of talks are always interesting because we get to see what other organizations do with Selenium, and while we are used to thinking of Selenium and its framework to “test”, it’s a system for computer aided processing and step automation, and looking to see what data can be gathered. Taking a little break, and nature calls, so I’ll be back in a bit. Oh, and Ken got the last Tamale, if any are here and looking for more food ;). Also, many of their tests used XPath locators (sometimes very helpful, but often very expensive if not implemented in the right scope… hey, I actually understand what that last sentence means now 😉 ). They decided that, rather tan start from scratch, they would see how much of their existing test code they could refactor, especially with the gains that WebDriver now gives to allowing an easy retrofitting of Selenium drivers, and instead of changing the testing code itself, use the time and energy to update and refresh the locators and methods to access them. One interesting question from the audience was to ask “if you could do this all with no budgetary impact and all the resources necessary, what would you do differently”? The best answer came from Ken, who was sitting right next to me… “tell your developers to make sure that very element has an id or a class!” Frankly, I couldn’t agree more! I said I was looking forward to seeing Chris McMahon and Zeljko Filipin being in town for this, and sure enough, they came. I felt bad that I didn’t have any time this week to get out and hang with them while they were in town, but this in a small way makes up for that. My thanks also to Ken for being my ride to the city tonight, and letting me take a much needed nap on the way up (that’s a topic for another post, but not just yet 😉 ). To all of my Selenium compatriots, good to se you again, and we get a treat in two weeks, another session at Pivotal Labs, this time to celebrate Elizabeth Hendrickson’s in-print launch of Explore It. That will be on Tuesday, March 12, 2013, and I hope to see you there :).